Every time I turn around I come accross believers who are panicking about coming persecutions or hardships. Is this fear and panic appropriate? What does it say about where we see our comfort coming from? How do we deal with difficulty and hardship in life? 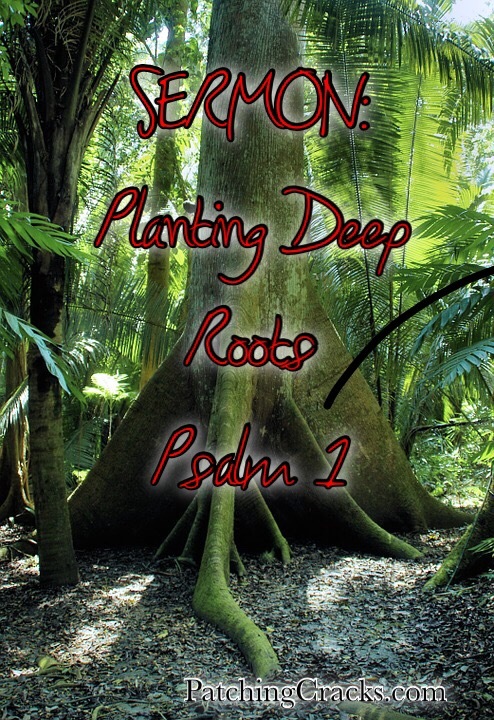 Psalm 1 offers us wisdom as to where we will find strength to endure difficult days. Does the Bible Give Husbands Authority in the Home? “As the man of the house, God put me in charge, so my wife has to obey my direction… or else she is sinning against God.” This silly line has been used time and again to justify all manner of sinful behavior, mistreatment of women, tyrannical rule in the home, and in itself has the potential to be a blasphemous statement. In fact, much of the anger that is raised the idea of men leading in the home or church is rooted in the wicked mistreatment of families using this idea as an excuse. I’ve spent the last 4 years trying to figure out how to be a Godly husband. (This is not a humble brag because I’ve actually been married for almost 18 years. Better late than never.) The biggest struggle I’ve encountered in the process has been related to the matter of headship in the home. I suspect that the struggle I am experiencing is a good thing. Not struggling with it could rise from an overly simple or self-serving understanding of the concept. It is far better to wrestle with this idea and approach the matter with fear and trembling. The understanding I have reached thus far is far from the “Woman! Get me a sandwich!” mentality that’s often the default perspective. The most important part of understanding authority in the Scriptures is that it is exemplified in Jesus’ example and His relationship with the Father. Jesus is our Lord. Lord is a bit of a culturally foreign idea for us. The ancient world “lord” meant “boss” or “master”. Paul takes this idea a step further and refers to himself as a slave to Christ. As such, we do well to observe Jesus’ example of how authority is properly exercised if we desire to exercise it as well. This is particularly important because Jesus explains the source of his authority over us. He does so in John 5. To paraphrase, he says that he has authority because God gives it to him. That authority is linked to the requirement that it be exercised in harmony with the Father’s will. So, the Father has authority and will. Jesus wields the Father’s authority, but he must do it in harmony with the Father’s will. Otherwise, he ceases to have authority. This arrangement of submission and bestowing is made possible by the fact that the Father loves the Son and the Son loves the Father. The Son submits to the Father because he loves Him. The Father gives the Son authority because he loves him. Now, if a man has authority in his home, it is either Jesus’ authority or it is in rebellion against God. To use authority for his own interests and agenda would be sin. So it is with men. If we are given headship in our home, it is only the case that we have authority as long as we are operating in harmony with Jesus’ will and teachings. If we fail to do so, our authority dissolves. Jesus said that he can do nothing on his own. The same is true of husbands and, incidentally, the same is also true with pastors. They have authority to preach, teach, and lead as long as they are doing so in harmony with Jesus’ teachings. Pastors cannot preach their own opinions, mistreat their flock, or live the high life while their people are hungry. To do so is rebellion against God. If a pastor fails to lead folks to Jesus, God’s people are to follow Christ instead of the pastor. They only follow the pastor when he looks like Jesus, wielding his authority by operating in his teachings and will. 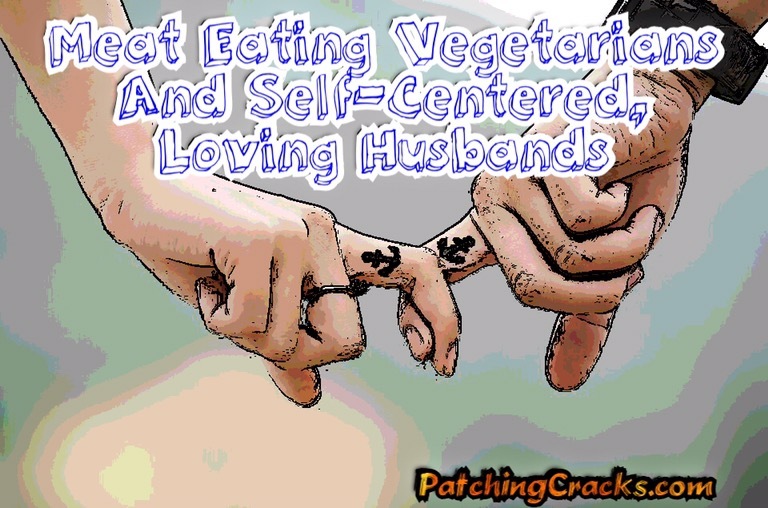 For husbands, breaking from God’s teaching and will leaves them standing on their own. Further, because such a man’s wife is called to follow Jesus, following Jesus takes precedent over all. She is only called to follow her husband when he is acting like Jesus. Period. The husband, like the pastor, carries the responsibility to follow, obey, and point to Jesus. How you demonstrate a husbands’ role to your kids will teach what to expect from their families. The implications of Jesus’ authority go further still. Jesus told his disciples that they were to lead, but not as the Gentile rulers do. Their leadership was to be marked by selfless service and self-sacrifice. They could not demand that the church wait on them hand and foot. Rather, they were responsible to serve their people. The greatest in the kingdom of Heaven will be the servant to all. Jesus offered the best example of this when he washed his disciples feet at the last supper. In ancient cultures, foot washing was a task reserved for the lowest man in the house. Foot washers were often ridiculed in popular literature of the era and Jews debated in court over whether or not a person could willingly wash their loved one’s feet as a show of devotion, with most Jews considering to to be too humiliating an act to be legal. Jesus demonstrated leadership by humiliating himself and washing his disciples’ feet, even Judas’! Greatness and leadership in the kingdom of God is exercised through humble, loving service. This example of leadership is to be emulated by a man if he wishes to operate in the headship that Paul mentions in Ephesians. Loving, humble, selfless service are what is demanded. It is a mark of the pollution of the world in the church’s understanding of authority that we default to the idea that husbands being head in their marriage means that the family serves and submits to him. The family follows Jesus. The husband is to point to Jesus and imitate Him. NOT doing so is a sin of being passive after being commanded to be active in leadership of the home, which was Adam’s first sin: Standing by passively and allowing the serpent to deceive Eve. Sadly, this is the archetype for many mens’ sins today. There is a final component to the service and headship of Jesus. Jesus’ ultimate act of service was to die for his people. So it is for men in headship of the home. They are to die for their family. This may not mean a physical death. It may entail giving up on their desires, free time, rest, comfort, and interests in the name of loving their family the best way possible. That’s the heart of the matter: loving your family the best way possible. Love your wife the way Jesus loved the church. Show her Jesus in your actions and attitudes. You point to Him every day as the object of our worship. Do all of this whether your family deserves it or not. Some folks might read my words and ask: then what is the point of having authority, if it doesn’t do you any good? This is a question that demonstrates thinking outside of the mindset of the Christian faith. We do not serve for our own benefit in this life. We serve because we are motivated to do so by our love for God and our family. Further, we do so because serving our family makes us more like Jesus. Becoming like and growing close to Jesus is the ultimate aim of the Christian faith. It is the purpose for which we’re saved. A man’s headship in the home should not be to his worldly advantage or for his own comfort. We serve in this way because it is our duty as servants of Jesus. In the end, I do not have a lot to say about a wife’s part in the whole equation, apart from the fact that she is not obligated to put up with evil, abuse, or foolishness. I have mainly focused on my job. I figure that if I do my job right, everything else will naturally fall into place. Beyond that, I’m far too busy trying to understand the requirements of my role and live up to being like Jesus to worry about my wife’s job. The mistake husbands often make in relation to their wives in this area is that they become so focused on what she should do that they ignore their own responsibilities and role. In a way, it reminds me of my kids. They get so overly focused on their siblings failure to do their chores that they neglect their own chores. They accuse each other without doing their job. Men, worry about the log in your own eye before pointing to the sawdust speck in your wife’s. A final thought, Peter warns men to be careful to treat their wives right so that their prayers won’t be hindered. Years ago a friend told me that this can be boiled down to the hard truth that if you’re not right with your wife, God doesn’t want to hear what you have to say. That’s something to take very seriously. 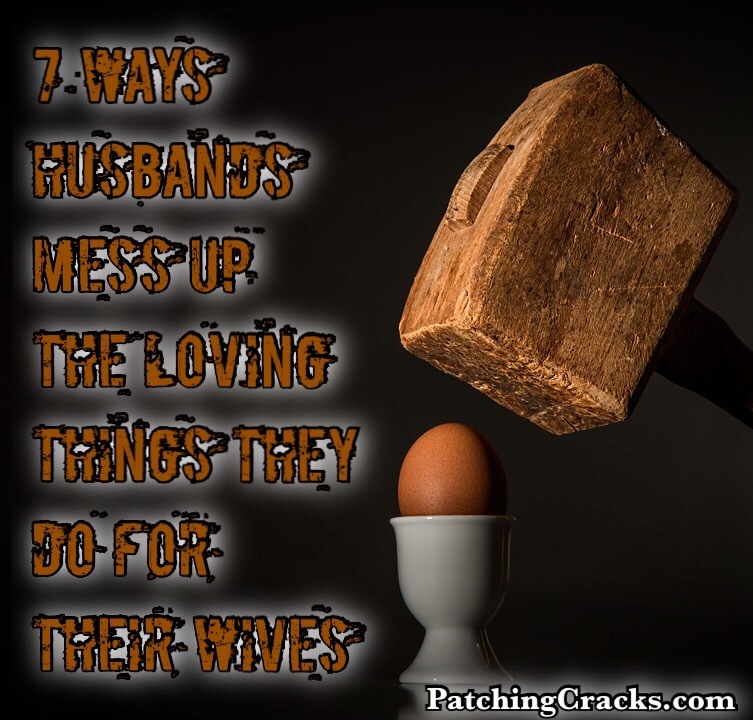 It’s enough to demand humility, fear, and trembling in our handling of our role as husband. Last year, I read Theodore Rex, a biography of Teddy Roosevelt. Amongst the many things that stood out to me in the life of that great man was that he took his children camping almost every night while staying at his vacation home. This was a man who was the leader of the free world, a world class intellectual, and a war hero. He was not too busy or too important to sleep under the stars with his children. I am willing to wager that for all the great things that Teddy was, his kids valued that time spent with him more than anything else. As dads, we often get distracted by our work, our hobbies, and our comforts; all to the detriment of the time we spend with our kids. Putting forth the effort to create special times with them is important. It is when the real impact of our parenting will blossom. Camping is a unique way to do this, because it takes us out of our comfort zone and away from our distraction, forcing us to pay attention to each other. For a child, camping with dad is a great adventure and a privilege. Here are a few of the things I have learned from camping with my kids. You are the most important part of the equation! Last weekend, I had hoped to take the kids camping in the backyard. I’ve been anxiously awaiting my first chance at camping with the kids since January. However, 3 days of heavy rain changed that plan. So, I set up the tent in the living room and we camped indoors. They loved it and I learned something important. I am the most important part of the camping experience. I don’t say that to be arrogant. Rather, I realized that the kids, more than anything else, wanted to spend time with me. The prospect of sleeping on the floor with me was pretty exciting. Going to exotic locations, doing crazy things, and planning perfect outdoor experiences are all important, especially as the kids get older, but the single most important component is spending time with dad. That will be the part they remember for the long haul. You don’t have to be an expert outdoorsman to make the experience memorable. You just have to be there. from work in the past, when it rained for 4 of the 6 days we were in the woods. Instead of enjoying the great outdoors, we played cards in the tent, talked, listened to thunder and wind, learned to build fires in a downpour, read, and had a different brand of fun. The perfect experience isn’t found only when the conditions are perfect. Perfect experiences are had when you enjoy time together, without the everyday noise and distractions of our modern life. This doesn’t mean you should risk your life. Rather, be willing to adapt to the situation. Camping indoors or in a rental cabin is better than doing nothing. Plan time together. The first big camping trip I took my daughter on in the mountains included fishing. She had seen fishing in cartoons and assumed it would be a very different experience. I am confident that she did not love it. She is too impatient. However, she loved sitting in my lap, eating snacks, talking, and reeling in the only fish we managed to catch, which she was terrified of when we finally got it to shore. The time we spent together was the big part. Eventually, I will teach my kids how to pick a campsite, build a fire, cook outdoors, etc. Those activities will be great because it will involve time together. For children, the time you spend focused on them is more valuable than anything else. Step it up in increments. This weekend wasn’t our first experience with living room camping. My children are still young and I recognized that it was necessary to take small steps in the camping experience. Living room camping made it easy to put the kids to bed in their own room if sleeping in the tent proved to be too much for them. Cuddling in the cold of the morning was safer for the first time, knowing that I could take them in from the back yard if it freaked them out too much. Camping at a ranch, within walking distance of a ranch house, is a safe bet if the noises of camping outside of town became too much for them. Increments warmed the kids up to camping in a way that made it easier to experience. This summer I hope to get my daughter out to sleep under the stars. Stay up late to see the stars. One of the biggest blessings of living in Montana is the abundance of beautiful scenery. Perhaps none better than standing under the night sky and seeing the grandeur of God’s creation sprawling before you. My preschool daughter was almost speechless at the sight. On our first camping trip in the mountains, we sat up late (admittedly, watching cartoons) and got out of the tent at 2 AM. The view was breathtaking. Living in a town or city often makes this sort of experience non-existent. If you are going to be out there, take advantage of the opportunity. Eat junk food. There are purists who would disagree with me on this one. However, I am of the opinion that camping should be a special experience. It should be a big treat that they look forward to. Part of how I make this happen is by hitting the junk food aisles at the grocery store and letting the kids pick whatever they want. S’mores are a must, but cookies, chips, candy, etc. are not to be overlooked. Sitting up late, waiting for the sun to set and the stars to come out, and talking is greatly enhanced by the presence of processed junk food. Sharing a bag of Oreos with dad on a camping trip is pure gold. Disclaimer: In bear country, you have to be pretty careful. Have fun, but don’t be stupid. Cook over the fire. Campfire food is amazing. Even if it’s not good by normal standards, a kid cooking their own meal over a real fire is an experience on its own. Teaching a kid to cook their own dinner and marshmallows over an open flame is integral to the camping experience. Plus, it feels like a grown up privilege for them. It’ll make the trip extra special. Talk with your kids. Time spent camping should be special. Sometimes I let the kids watch cartoons, particularly when living room camping. We read comic books, play games, run around, and do all sorts of other things. But, I’d argue that the most important part is talking. You teach your kids how to be adults. Wisdom imparted while camping takes on an extra weight of importance. Don’t waste the opportunity to deepen your relationship through connecting and relating to your children. While you’re camping, the kids will have fewer distractions. Their tv, toys, phones, and every other shining thing that draws their (and your) attention away will be nowhere in sight. Take advantage of it. Talk to each other. This is particularly important when they are young. If you want your kids to talk with you when they are older, teach them to do it early. Don’t forget to have fun. There are so many things to do and worry about that it’s easy to lose sight of the fact that you are there to have fun. This is particularly the case because men often have trouble shutting off the part of our personality that focuses on work and worry. Your kids want to have fun with you. Don’t forget to enjoy yourself and them. They will only be young once. Don’t miss it. Do it often! Camping is one of those things that they will remember, especially if you do it often. It’s not always easy to get away to the mountains to camp, but the backyard and living room are always there. Being a dad isn’t something you do once every summer. The biggest impact is made by investing a lot of time. Sleeping in a tent isn’t comfortable, but your kids will remember it for the rest of their lives. Nothing is more false than the idea that mockery is necessarily hostile. Until they have a baby to laugh at, lovers are always laughing at each other. I came across this line in my morning reading. It seems like the greatest blessing in life has been laughing and playing with my wife and kids. The biggest mistake I’ve made is trying to take our time together too seriously. 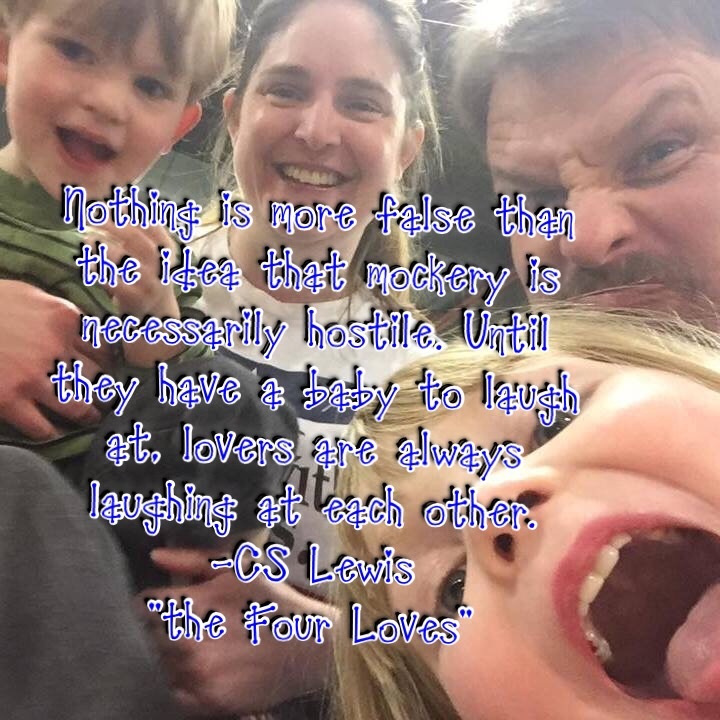 Some of the best conversations my wife and I have involve laughing about the craziness of our children. I kinda suspect that God probably laughs about us too. I love my wife more than I can say. Unfortunately, I often neglect to say or show it. I may just be in the remedial class of romantic husbands, but a few years ago, I realized that I didn’t do nearly a good enough job telling/showing my wife what she means to me. Saying “I love you” is a good start, but I have discovered that actions speak much louder than words when it comes to making her feel loved. In fact, I’d argue that love is best shown through actio, rather than words. Jesus demonstrates this principle through his service and sacrifice for those he loved. Certainly words are necessary, but actions are vital. My biggest problem in showing my wife how much I love her is conjuring up clever ideas for showing it. Knowing what to do is a real challenge. Talking– Remember when you were dating and you used to sit and talk for hours without any effort? When was the last time you did that? Talking is important to most women, far more so than it is for most men, who typically talk less. They just don’t need to talk in order to feel close to their wives. This is not the case for women. Most women identify conversation as a major emotional need. Unfortunately, what was easy while you were dating can quickly become an enormous challenge. After marriage, it’s important to intentionally spend time talking to her. Ask her about her day, her feelings, and what she thinks about various matters. Paying attention to her, listening to her, and opening up to her means a lot. Of all the things you can do to show your wife that you love her, this is at the top of the list. Do it every day. Love Notes– This is my favorite. Telling your wife that you love her is one thing, but writing it down for her to read and reread is another entirely. For most women, words of affirmation are important. She may already know that you love/admire/yearn for her, but regularly telling her is a big deal. Writing love notes is easy to do, takes almost no time, and it means a great deal. It just makes sense to do it regularly. In addition, I often say the wrong thing in the moment. Somewhere between my brain and my mouth, the wires get crossed. Writing out your thoughts makes it easier to avoid the pitfalls associated with speaking off the cuff. Love notes can range from cards, letters, or post-it notes. In particular, notes that are written and tucked away where she will find them later are great surprise. A day away– Whenever I notice that my wife is particularly stressed, I plan a day out for her. I try to schedule these outings with one of her friends. I schedule a few activities for them to enjoy, like a massage, painting pottery, a visit to the chocolate shop, etc. The details mean a lot for these outings because they show that you have spent time thinking about her and planning the day. 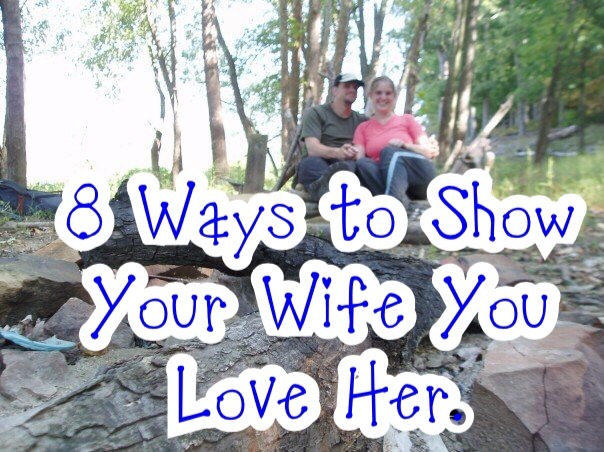 The most important part of showing your love for your wife is showing that you are thinking about her. For example, I paid for everything in advance or left gift certificates and love notes with the owners. Last time I put one of these days together, I was on a work trip. I had her girlfriend come by the house with a babysitter to watch the kids. The whole thing was a surprise. As gestures go, this one required a great deal of planning, time, and effort. Sometimes your wife needs time with her friends away from the kids, the house, and you. Recharge time is a huge deal and will mean a lot to her. I have also put these days together for her to take our daughter out for a “girls day” or our son for a play day. Obviously, these days have different planning requirements. The away day– My wife works hard and sometimes needs some quiet, down time. She likes getting out, but sometimes rest and relaxation are what the doctor ordered. For times like this, I take the kids out and leave her with a quiet house to herself. Typically, it’s necessary to do some big preparation in advance to ensure that the day is actually a gift. I usually get the house in order, catch us up on laundry, make snacks/food for her, etc. It’s no good leaving her home to relax, only to find that she opted to use the time to wash dishes, pick up the kids toys, and do laundry. Flowers– My wife doesn’t like flowers, because they die. She has trouble with the idea of buying things that we just throw away a few days later. I buy them sometimes anyway, and she likes them, but they aren’t her favorite. A year ago I happened on a solution to this problem. I read a few origami websites and spent a TERRIBLY frustrating evening figuring out how to fold flowers. It seems cheesy and I expected her to roll her eyes at the gift, but the time I put in meant a lot to her. I made one or two at a time over the course of several weeks, leaving them on her desk or nightstand. One afternoon I walked into her office to find she had put them all in a vase. Once again, the big thing is showing her you are thinking about her and spending time doing something just for her. Clean House– My wife and I split the workload in our home. We share in chores and childcare responsibilities. Now and then, I take an afternoon to thoroughly clean the house, wash the kids, and cook. When she comes home to a clean house and no chores, she loves it. 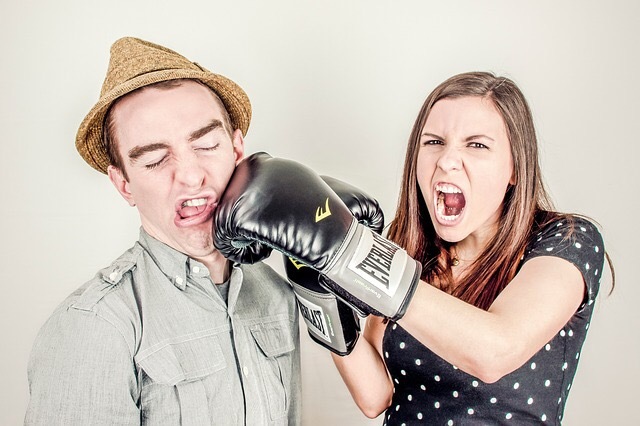 Taking care of little things– A couple of years ago, I asked my wife about my habits that annoy her. It took some pushing to get her to open up about what I do that grates her nerves, but when she did, I found that the majority of the things on the list are little things, like changing the toilet paper roll when it’s empty, picking clothes up off the floor, or taking my shoes off when I come in the house. It seems silly, but changing these patterns was noticeable to her. In addition, they were easy habits to change. I had to put effort into remembering, but they made a difference. She noticed, which helped demonstrate my care for her. In addition, fewer annoying habits meant less for her to be upset with me over. Those little things add up quickly. Date Night– We try to go on a date every week. This isn’t easy, but it’s important. Marriage is maintained through quality time together. We can’t always find babysitters or spend the money for dinner out, but dating each other is a big deal. When we can’t get out we put our kids to bed early and eat dinner alone, play a game, or just sit and talk. Putting the effort in to courting your wife is a big deal. It tells her that she is important to you and that you don’t take her for granted. Planning a date as a way of showing her that you love her involves way more than just walking out the door. Admittedly, getting out the door for a date can be a challenge, but it’s not all there is. It’s important to take the initiative to line up childcare and take care of the “at home” details. If she has to go crazy lining these things up, it makes her evening less enjoyable. Further, it’s a big deal to research and plan the evening. Most of us have sat in the car trying to get our wife to say what she wants to eat or what she wants to do, only to have her respond: “I don’t care, whatever you want.” If this is how most dates turn out, then taking the initiative to plan the evening avoids the frustration of this conversation. Plus, planning shows thought, which is a big deal to many wives. The big goal is to make her feel special. Attention to the little things achieves that goal.